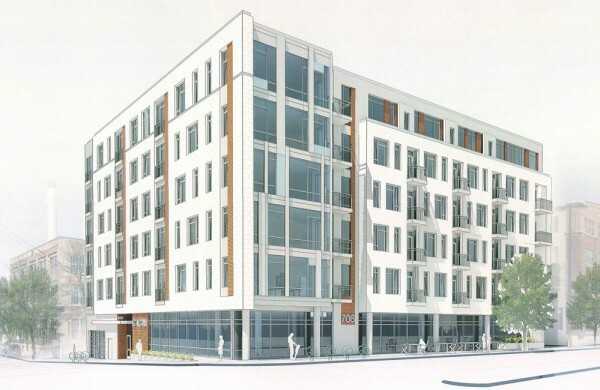 The proposed six-story multi-family and commercial development at 702 Williamson. 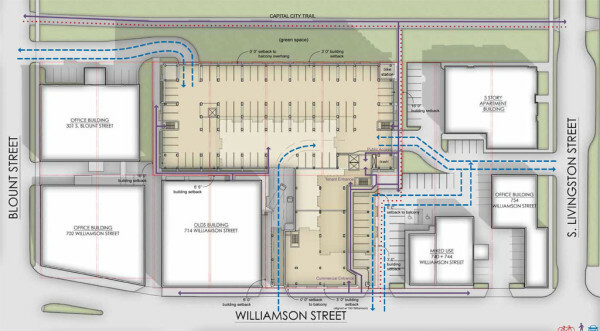 Courtesy: The Rifkin Group, LTD.
City of Madison Alder Marsha Rummel is appealing the Plan Commission’s approval earlier this month for a conditional use permit for a development at 702-706 Williamson Street. 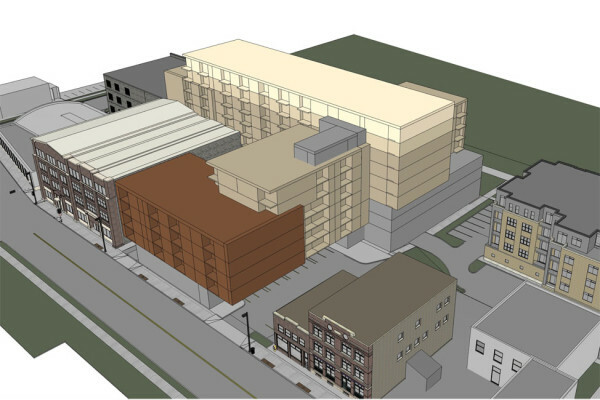 The Rifken Group, Ltd., is proposing a six story multi-family development to replace the current one-story building. 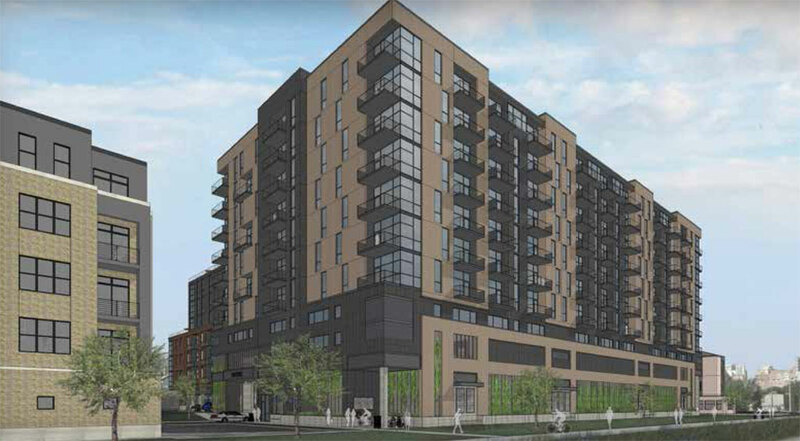 In a letter to the Marquette Neighborhood Rummel cited her right as an alder to appeal a Plan Commission ruling within 10 days of a decision. She said the appeal will be introduced August 5 and receive a public hearing before the Madison Common Council on September 2. 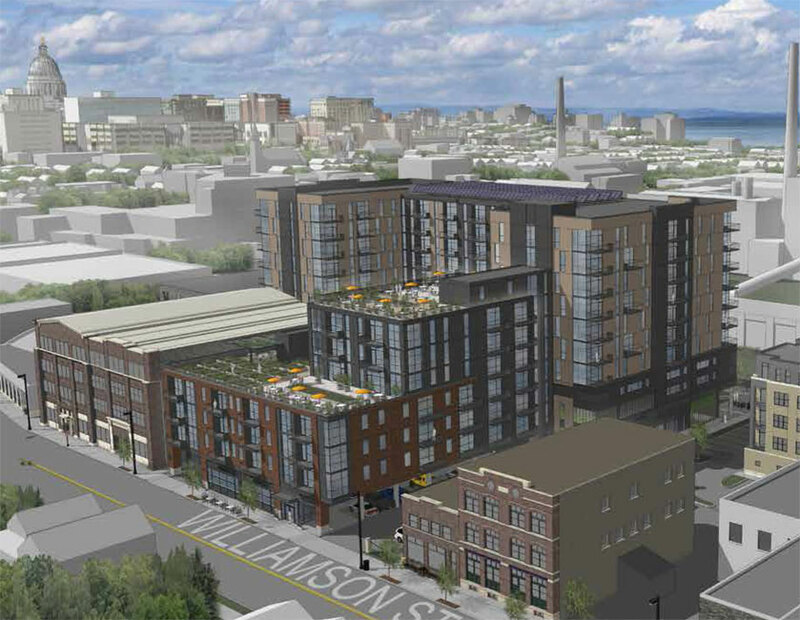 Rummel is concerned that the neighborhood is being cut out of the design review process.